The 15th Pravasi Bharatiya Divas has begun at Varanasi, Uttar Pradesh (21-23rd Jan 2019). The theme this year is, 'Role of Indian Diaspora in building New India'. Around 6,000 NRIs, including Pravind Kumar Jugnauth (Prime Minister of Mauritius), is taking part in the three-day event. Youth Pravasi Bhartiya Divas and Uttar Pradesh Pravasi Bhartiya Divas also held today. Earlier, Rajyavardhan Rathore (Information and Broadcasting Minister) inaugurated several exhibitions including a digital exhibition on the theme of 'Ek Bharat Swacch Bharat: Sardar Patel and Gandhi ke Sapno ka Bharat. 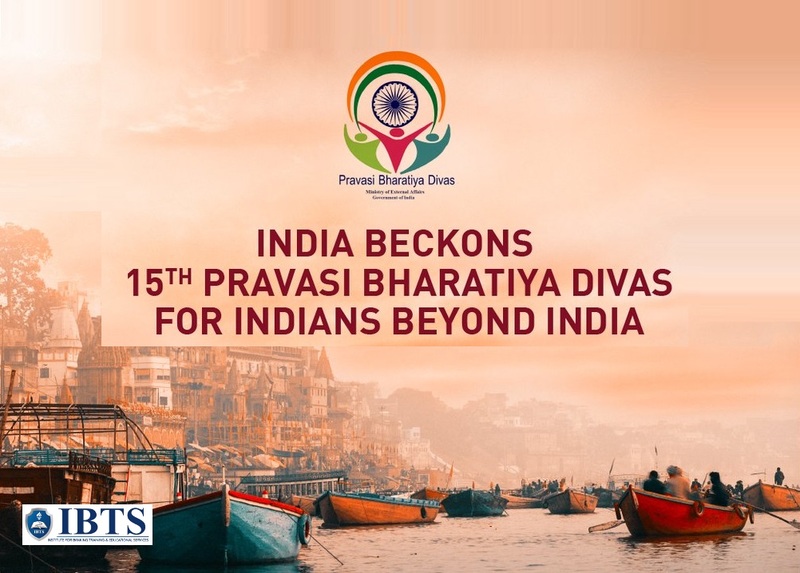 Pravasi Bhartiya Divas (PBD) is celebrated once in two years (before 2015 every year) to mark the contribution of the overseas Indian community to the development of India. Today, Manipur, Meghalaya and Tripura are celebrating their statehood day. On this day in 1972, all the three states became full-fledged states under the North Eastern Region (Reorganisation) Act, 1971. Manipur is bounded by Nagaland to the north, Mizoram to the south, and Assam to the west; Burma (Myanmar) lies to its east, covers an area of 22,327 square kilometres. Meghalaya (means "the abode of clouds" in Sanskrit) is a state in Northeast India, covers an area of approximately 22,430 square kilometres. Tripura is the third-smallest state in the country, it covers 10,491 square kilometres. Eminent scientist and recipient of Bharat Ratna C N R Rao has been chosen for the first Sheikh Saud International Prize for Materials Research by the Centre for Advanced Materials of the United Arab Emirates (UAE). The Prize committee unanimously decided to award this to Professor Rao which involves a plaque, a medal and a cash prize of 1 lakh USD. The award will be presented to Mr. Rao during the International Workshop on Advanced Materials at Ras Al Khaimain UAE on 25th February 2019. Currently, Mr. rao serves as the Head of the Scientific Advisory Council to the Prime Minister of India. Mr. Rao was awarded Bharat Ratna by the Indian government in 2014 for his work in materials research. Rao has authored over 1,600 research papers and 51 books. The world's oldest man, Masazo Nonaka (Japan) has passed away in the north of Japan's Hokkaido island at the age of 113. According to the Kyodo News agency, Nonaka, who was officially recognized as the oldest male in the world by Guinness World Records last April. The record-holder Masazo Nonaka was born in 1905 in the town of Ashoro. The Japanese are traditionally considered to be one of the most long-living people on the planet. The Pulitzer Prize-winning American poet Mary Oliver (83-years) passed away at her home in Florida, USA. Oliver (author of more than 15 poetry and essay collections) wrote brief, direct pieces that sang of her worship of the outdoors and disdain for greed, despoilment and other human crimes. Mary Jane was an American poet who won the National Book Award and the Pulitzer Prize. In 2007 The New York Times described her as "far and away, this country's best-selling poet." The World Economic Forum (WEF) annual meet has begun in Davos, Switzerland. The theme of the event would be 'Globalization 4.0: Shaping a Global Architecture in the Age of the Fourth Industrial Revolution'. World leaders from across the globe will flock to the ski resort town on the Swiss Alps for five days to discuss what's ailing the world amid fears of the global economy sleepwalking into a crisis. The World Economic Forum Annual Meeting is the only yearly gathering that brings together leaders of global society. The World Economic Forum is an independent and impartial International Organization for Public-Private Cooperation. Acording to UNESCO (United Nations Educational, Scientific, and Cultural Organization), the Brazilian city of Rio de Janeiro will be the World Capital of Architecture for 2020. Rio (defeated Paris and Melbourne) will be the first city to receive the title under a program launched together by UNESCO and the International Union of Architects (UIA) in November 2018. The city will host the World Congress of UIA, in July 2020, an event that occurs every three years. The World Capital of Architecture is intended to become an international forum for debates about pressing global challenges from the perspectives of culture, cultural heritage, urban planning and architecture. HDFC Standard Life Insurance has changed its name to HDFC Life Insurance following the receipt of relevant approvals from regulatory authorities. The change in name is effective right off the bat and the company will henceforth operate under the name HDFC Life Insurance Company Ltd.
Chief Minister of Uttarakhand Trivendra Singh Rawat flagged off the air services from Dehradun to Amritsar from Jolly Grant Airport in Dehradun. Rawat said that work to connect several cities of the country with Dehradun is being done and expansion of air services in the state is being done expeditiously. Defence Minister Nirmala Sitharaman has launched a series of projects as a part of the Tamil Nadu Defence Industrial Corridor in Tiruchirppalli. This will be the country's second defence industrial corridor after the first one was launched in Aligarh, Uttar Pradesh August 2018. The Tamil Nadu Defence Industrial Corridor will include Chennai, Hosur, Salem and Coimbatore, Tiruchirappalli as the nodes. This will also help the industry to integrate with the global supply chain of Defence manufacturing. Ordnance Factory Board has announced 2305 crore rupees investment in the corridor. Defence Minister also launched Coimbatore District Small Industries Association, CODISSIA, Defence Innovation Hub through Video conference from Trichy. India's Ankita Raina has won the International Tennis Federation's 25,000-dollar Women's tournament in Singapore. In the Final, Ankita defeated top seed and world number 122 Arantxa Rus of the Netherlands, 6-3, 6-2. She toppled four seeded players in the tournament to win her first title of the season and eighth overall. Cosmas Lagat (Kenya) and Worknesh Alemu (Ethiopia) won the men's and women's crowns in the Tata Mumbai Marathon in Mumbai. Lagat stormed his way home in the 42.195 kilometres race in 2 hours 9 minutes and 15 seconds. India's Sudha Singh finished on top among the Indian runners while sitting at a personal best of 2 hours:34 minutes and: 56 seconds. In second place was Aychew Bantie of Ethiopia who clocked 2 hours:10 minutes and: 05 seconds. The women's race Ethiopian Alemu in 2 hours: 25 minutes and: 45 seconds. The Khelo India Youth Games (2nd edition) concluded in Pune with the hosts Maharashtra walking away with the overall trophy. Maharashtra amassed 228 medals (85 gold, 62 silver and 81 bronze). Haryana were second with total 178 medals (62 gold, 56 silver and 60 bronze) while Delhi was third with total 136 medals (48 gold, 37 silver and 51 bronze) for a total of 136 medals. Union Minister for Human Resource Development, Prakash Javadekar presented the glittering Trophy to the Maharashtra sportspersons at a closing ceremony held at the Shree Shiv Chhatrapati Sports Complex. Mr. Javadekar said, the Union government was determined to bring in a compulsory one-hour daily period for sports in every school across the country. Khelo India Youth Games 2019 had approximate participation of 10,000 persons, including more than 5,925 athletes. 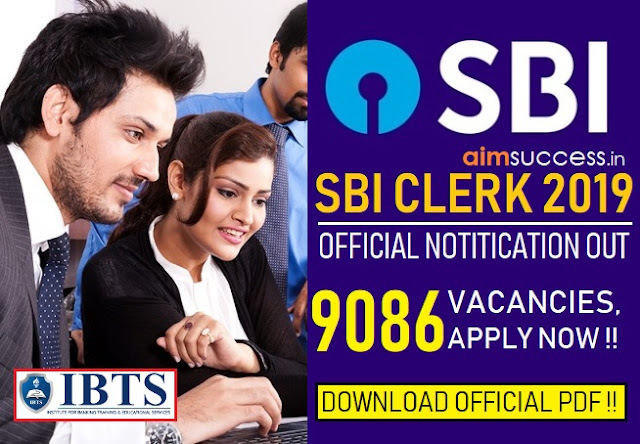 SBI Clerk Notification 2019 Out: 9086 Vacancies, Apply Now!! 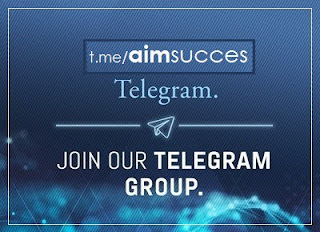 Download PDF! IBPS PO Mains 2018 Result Out: Check Result Direct Link!